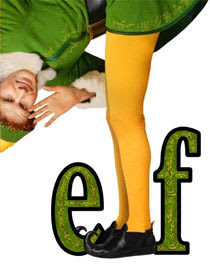 Pics and Kicks: Elf Yourself! Merry Christmas from me and da boys! Click to enjoy a laugh on us! Create your own here, then copy and paste the link into the comment bar for all to see!! Hahahahahaha! Hahahahaha! I don't think I've ever seen anything so FUNNY! The funniest thing about it to me is that little Lincoln looked the most normal out of all of you! Oh, my gosh. I think I'm going to dream about this! I can't wait to do it myself! I'm still grinning! This is hillarious!! I'll bet the kids just crack up when they watch it. I'd love to watch them watching themselves! Thanks for the laugh! You are the COOLEST momma EVER!